We had a very long, snowy, frosty winter this year! It is so nice to welcome spring and see the crocuses, tulips, and daffodils blooming in my garden. I have been learning even more bird calls this year. I woke up this morning to the singing of chickadees. I went outside and whistled to the birds in my backyard. They whistled back to me! My bird feeder was very busy this winter as the birds needed food to keep them warm and active. We also have a hummingbird feeder and we were visited by Anna’s hummingbirds all through the cold winter. They are not afraid, and it is interesting to watch them up close through the window. Can you whistle or tweet like a bird? They might tweet back to you! My son, Matt, is a wonderful whistler! 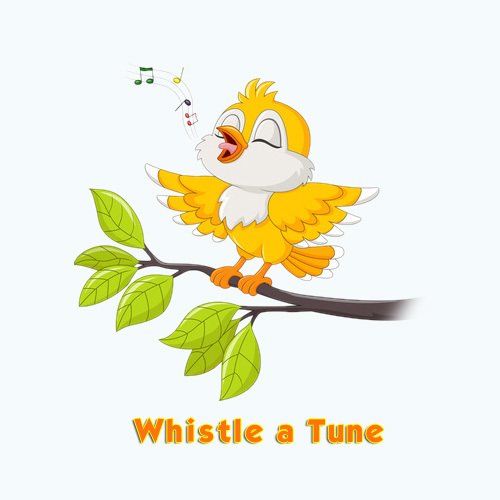 Whistle a tune like the birds in the trees. Let’s all whistle a tune! Whistling’s the same in every land. Let’s all whistle a tune. It gives a giggle to your sisters and your brothers. Now available for purchase as a song download on my web site! 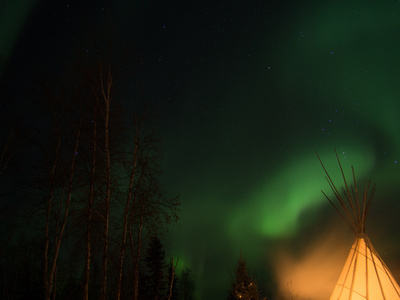 In early March, I had a wonderful trip to Yellowknife in the North West Territories of Canada to see the Northern Lights, or Aurora Borealis. I have been to the Canadian North before and loved the feeling of being at the top of the world! Yellowknife is on Great Slave Lake and there are lots of wild animals – moose (like the “Moose on the Loose”), caribou, fish, muskrats, beavers, ravens, loons… and in the far North – musk oxen, polar bears, narwhals, seals and walruses. It was very cold! Minus 40 degrees Celsius. Brrrr! That is why the people who live there need fur and woolen clothing to keep warm. Their clothes often have beaded designs. I wore my ski outfit with extra warm clothes underneath, a face mask, woolen hat, mittens, and snow boots. We went out at night near a frozen lake to see the Northern Lights. They were beautiful, green and white swirls and lines of light that danced slowly across the dark sky. We stayed outside to watch; and when it became too cold, we went inside a large teepee, where there was a warm fire and hot chocolate. During the day, I explored the snowy trails and watched ravens soaring through the clear blue sky. I will return to Yellowknife to perform a concert for Canada Day on July 1, 2017. It will be warmer with the long days of the midnight sun. The gardens grow quickly! This year is Canada’s 150th Birthday! There are special celebrations in every town. Sunday, May 14, 2017 is Mother’s Day! 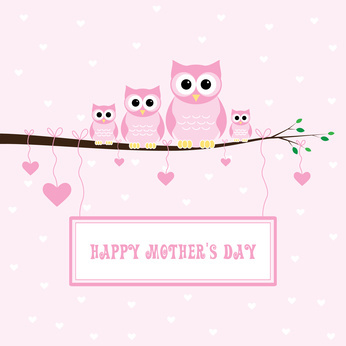 Draw a picture, sing a song and give Four Big Hugs to your Mom, Grandma, or favourite Auntie. I have two special songs for Mother’s Day, “A Mother is Forever” and “Grandma’s Eyes”, from my album “Diamonds and Daydreams” (available now on iTunes). She’s always thinking of us, when we are grown and tall. She saw us through the changes, as with each year we grew. Happy Springtime to my Hug Bug Friends!